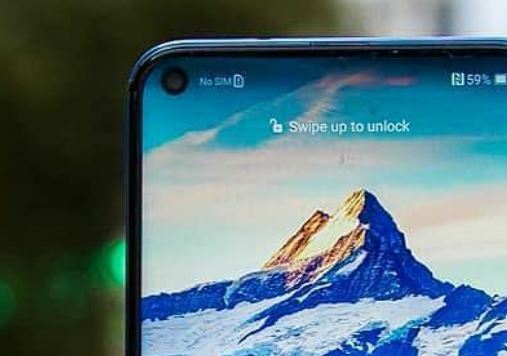 The Honor View20 – Look closely. Notice something? 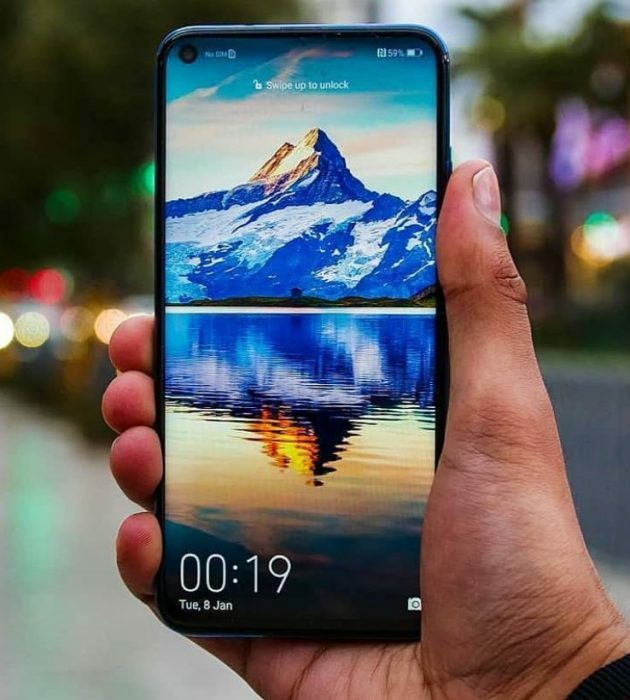 Creating a phone that looks a bit “different” is definitely in the interests of most phone manufacturers, however if you do there’s the risk that the phone isn’t going to be as popular. So, there’s smaller but rather cool tweaks happening to new phones now, and although they’re all still a familiar shape, you’ll find more and more screen real estate appearing. 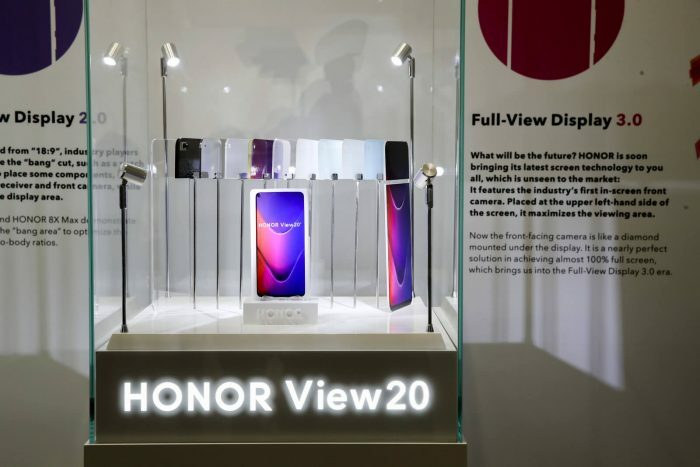 This then is the new Honor View20, or Honor View 20 depending on how much you like spaces. It appeared at CES recently and they’ve done something to the screen. Can you spot what it is ? Yes, there’s no “dewdrop” or “notch” here at all. No indent for a camera, sensors or an earpiece. Instead they’ve put the camera inside the screen, tucked up in the upper left corner. It’s a nice idea and doesn’t seem to get in the way too much either. The phone, too, looks good. It’s won a series of “Best of” during the show and we can already see that it’s coming to the UK as it’s on the UK Honor site right now. Powered by a Kirin 980 Octa-core CPU (2×2.6 GHz Cortex-A76 & 2×1.92 GHz Cortex-A76 & 4×1.8 GHz Cortex-A55), it has a 6.4″ 18:9 1080×2310 pixel screen (398ppi) and all the usual connectivity stuff (Bluetooth 5.0, dual-band WiFi, GPS, USB-C charging, NFC etc). There’s a few versions of this with different memory / storage setups – an 8GB memory model with 256GB storage plus another model with either 6 or 8GB of RAM which has 128GB storage. No microSD slot though. George Zhao, President of Honor, told us..
We are tremendously excited about the positive reception the HONOR View20 has received. It is a privilege to be recognised by our industry peers for our efforts in creating innovative products that deliver great value to consumers worldwide. This year HONOR will continue to push the boundaries of what’s possible in a flagship smartphone. The phone looks set to be launched here in Europe on January 22nd, so keep a look out for further details. The post The Honor View20 – Look closely. Notice something? is original content from Coolsmartphone. If you see it on another news website, please let us know. Previous PostPrevious Cycling glasses with a HUD. Meet Raptor.